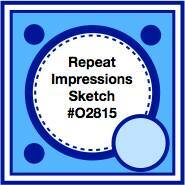 Cherish Each Precious Day: Sketch Challenge...You are Special! What a super sweet image and a lovely Christmas design too!! :) Thanks for sharing Patti! Very festive card, Patti. Love your take on this sketch! TFS. What a sweet image and card design! Awww . . how cute! I have a little stripey gray kitty like that; so sweet. Love that you used the poinsettias as the corner embellishments. How sweet. I love your poinsettias you added. Quite the nice card. This has such a classic beauty to it and such a warm holiday feel - excellent card and just so well done!! All the special touches make it a hit!! Fabulous Christmas card, Patti. YOU are special, too! 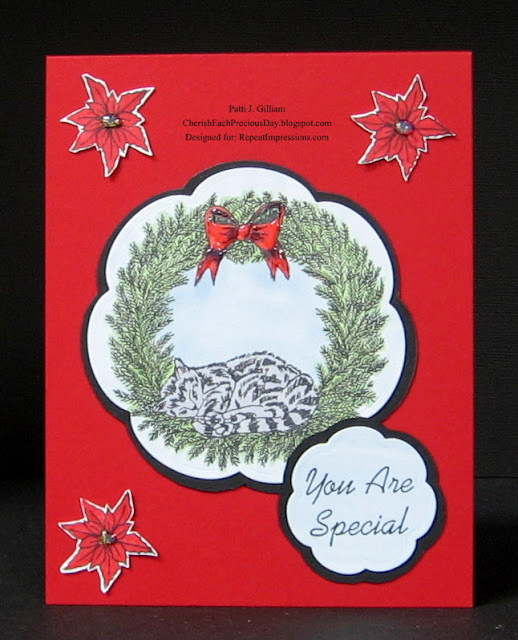 How did I miss this one - especially since it has a kitty - very pretty card. Love the poinsettias. Gorgeous card Patti, and great image too! That cat looks lovely and comfy nestled in there!